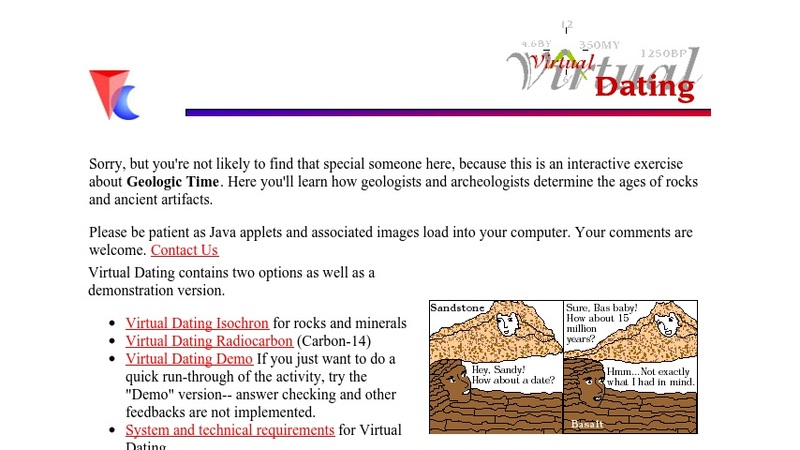 This interactive feature lets students investigate how absloute (numerical) dates are determined for rocks, minerals, and organic (carbon-containing) material. Topics include radioactive decay and the use of isotope ratios to obtain ages in years; the difference between relative and absolute dating; the use of rubidium-strontium isotope ratios to date rocks and minerals; the development of radiocarbon dating in the 1940s by Willard F. Libby; and the use of tree ring data to calibrate radiocarbon dates. After each section, students answer study questions before continuing to the next step in the exercise.